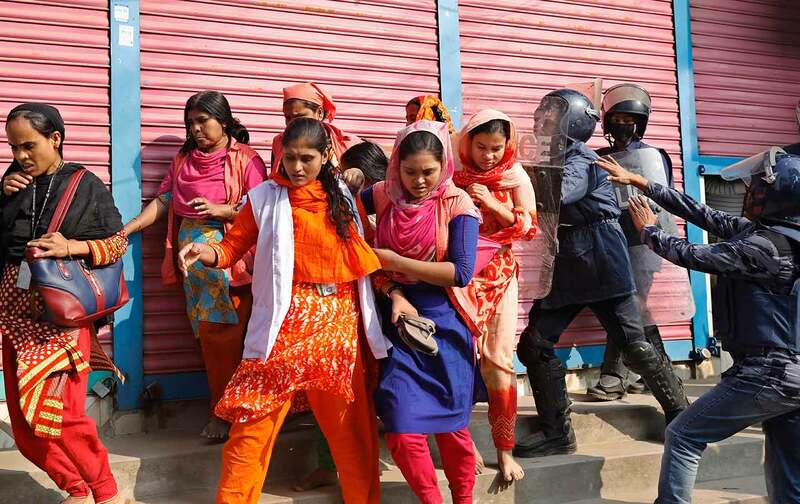 Why are fashion outlets ignoring Bangladeshi garment-worker protests? Twelve days ago, 50,000 garment workers in Bangladesh began a series of demonstrations in and around Dhaka to demand higher wages. For nearly two weeks, they’ve been blocking roads, burning tires, and shutting down factories. Women workers are confronting a multibillion-dollar fashion industry, their abusive and mostly male bosses, and bad-faith trade deals that benefit Western countries and corporations at their expense. They are risking their jobs and lives to face down police armed with rubber bullets, water cannons, tear gas, and batons. By any measure, this is a historic event, and they are heroes. In recent years, we’ve witnessed the fashion media’s expanding social and political coverage. It’s now commonplace to find—and to turn to—fashion magazines for the news and politics of the day. And these garment workers seem like the kinds of strong women that fashion magazines love to celebrate (especially in the increasingly popular International Women’s Day–themed issues). Yet, when it comes to these protests, US and European fashion magazines have been conspicuously silent. Searching the US websites of Marie Claire, Harper’s Bazaar, W, Vogue, and, yes, even Teen Vogue, I found no mention of them. This type of political protest doesn’t easily fit fashion-media conventions. Properly covering this protest would mean implicating fashion outlets and their advertisers in the exploitation that characterizes the value chain. 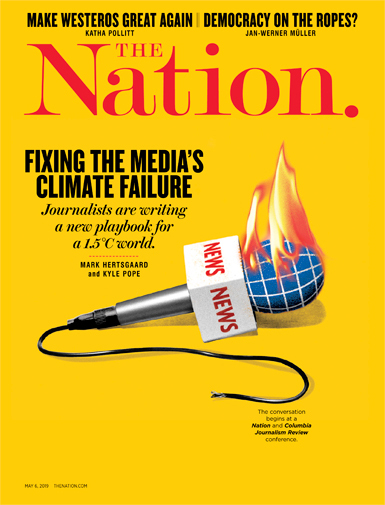 It would mean putting journalistic standards above commercial interests and questioning power rather than promoting it. It’s true that fashion media don’t always ignore Asian garment workers. They extensively covered the 2013 collapse of the Rana Plaza garment-factory complex in Bangladesh that killed more than 1,130 workers. Fashion media helped build the international pressure that led to safety improvements in apparel factories throughout Bangladesh. Fashion news will also write about Asia as ground zero for the global knockoff economy. In short, Asian garment workers typically garner coverage when they can be represented as tragic victims of their own countries’ lax laws or fashion thieves stealing designs, sales, and profits from legitimate (Western) brands. Now tens of thousands of garment workers have forced a government riddled with corruption to take them seriously; yet they are invisible in the fashion media, because they’re not legible to it. In skin color and class, Bangladeshi women garment workers don’t look like the female powerhouses that are the revered subjects of fashion feature stories. Since their mass actions don’t specifically mention Western fashion brands, they are also easily cast off as the problems of the factory owners, managers, and national governments. The disconnect in the Western imagination between the top and bottom of the global fashion value chain makes it possible for fashion media and consumers to believe the protests do not affect or involve them. A few well-meaning people on social media have come up with a strategy to save Bangladeshi garment workers: a boycott of “fast fashion” (the derogatory term given to trend-driven budget brands). This, they argue, is “the only way to make it work” (“it” presumably referring to the protests). But this is a mistake: Consumers shouldn’t be speaking for and over garment workers. They should be listening to them and supporting their efforts and strategies. International boycotts that aren’t coordinated with and led by Asian garment workers smack of Western arrogance and can hurt the very people these boycotts are intended to help. These consumer actions can make a tense working environment more stressful, reduce jobs in an already precarious industry, and cripple a major economic lifeline for families and communities. Moreover, knee-jerk boycotts tend to be aimed at the wrong targets. In the mainstream ethical-fashion discourse, “fast fashion” has become a convenient scapegoat for all of global fashion’s labor and environmental problems. But budget clothes and non-elite consumers aren’t the cause of exploitation. Apparel factories typically produce clothes for a range of brands that span the price-point spectrum. The factories involved in the strikes are no exception. These protesters work for factories that make clothes for Perry Ellis, Charles Vögele (a Swiss department store not unlike Macy’s), La Redoute, and Nautica. None of these brands fall under the “fast fashion” category. Boycotting budget retailers misses the mark while letting more prestigious brands off the hook. The Western fashion media wield incredible influence on the public’s awareness and understanding of consumer and corporate social responsibility. Their choice to ignore these protests speaks volumes about the limits of “ethical fashion”—a movement whose concerns don’t extend to politically empowered fashion workers or events that incriminate mid- and top-market brands. The fashion media’s silence is not just irresponsible; it’s unethical. Correction: An earlier version of this article incorrectly listed subsidiaries of Nautica. Minh-Ha T. PhamTwitterMinh-Ha T. Pham, a media-studies professor at Pratt Institute, teaches and researches fashion labor in the context of global and digital economies. She is the author of Asians Wear Clothes on the Internet, a study of the racially gendered economy of personal-style blogging.